In the United States, the Subaru Outback has its origins as a station wagon variant of the second-generation Subaru Legacy sedan in 1996. In 2000, Subaru decided to spin off the Outback as a standalone model. 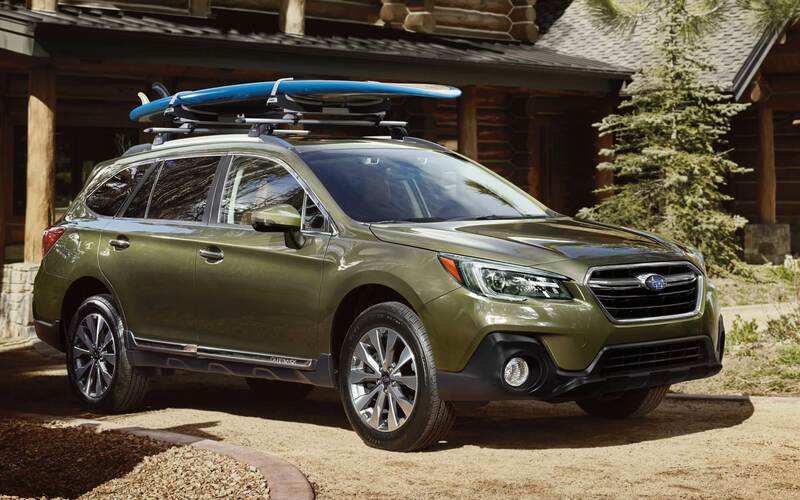 With the 2018 model year-midway through a sixth production cycle that it shares with the Legacy-the Outback receives significant changes to refresh the vehicle. The 2018 Outback is available in base-level, Premium, Limited, and Touring. For 2018, Subaru gives the front and rear fascias of the Outback a more aggressive look. Also, the fold-away side mirrors-which have integrated turn-signal indicators on the Limited and higher-have been redesigned to reduce interior cabin noise. Other standard exterior features on the Outback include projector-beam halogen headlights and roof rails. You can upgrade to the Premium or higher to add fog lights, and the Limited is the entry point for a standard power tilt-and-slide glass moonroof. On the Limited and Touring trims, the headlights turn in the direction of the steering for more accurate illumination. The Touring trim further stands out with the silver finish of its roof rails, as well as a rear bumper cover. Seventeen-inch alloy wheels go on the base-level and Premium trims and 18-inch ones go on the Limited and Touring. On the Premium, Subaru adds 10-way power adjustability on the driver's seat and heating capability on both front seats. Typically, front seating consists of a 6-way manually adjustable driver's seat and a 4-way manually adjustable front passenger seat. The Premium and up go with 10-way power on the driver's seat, which is extended to the front passenger seat if you upgrade to at least the Limited. Also added on the Limited and higher are front-seat heating ability and leather upholstery (in place of cloth trim). Heating on the steering wheel is exclusive to the top-level Touring. Standard comfort and convenience features on the 2018 Outback, Bluetooth® connectivity, four-speaker AM/FM audio, Android Auto and Apple CarPlay for smartphone-based control (new for this model year), a USB port and audio jack for connecting mobile devices, and Subaru STARLINK™ infotainment integration supported by a 6.5-inch LCD touchscreen. Upgrading to the Premium introduces enhancements or replacements such as dual-zone automatic climate control, two front-seat and two rear-seat charging-only USB ports, six-speaker audio, an 8-inch touchscreen, HD Radio™, an additional USB port, a single-disc CD player, hands-free texting, and a complimentary four-month SiriusXM® satellite radio subscription. 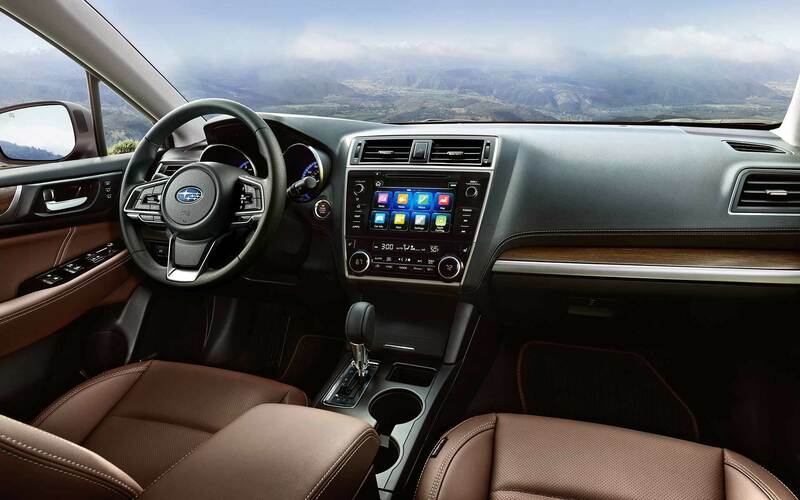 On the Limited and Touring, Subaru adds an auto-dimming rearview mirror, keyless access, push-button engine start, a garage-door opener, and a 12-speaker 576-watt Harman Kardon audio system. Only the Touring has 8-inch touchscreen navigation. The engine on the 2018 Outback's base-level and Premium trims is the 2.5-liter 4-cylinder horizontally-opposed (H) SUBARU BOXER® engine, which generates 175 horsepower and 174 lb-ft of torque. The Limited and Touring provide the option of getting a 3.6-liter H6, which provides 256 horsepower and 247 lb-ft of torque. Glued to each engine is a continuously variable transmission, which comes with a 6-speed manual mode with paddle shifters to enable greater control over gear shifting. Like all other Subaru vehicles, the 2018 Outback has standard all-wheel drive, which is accompanied by X-MODE® technology for optimal traction on low-friction surfaces. A four-wheel independent raised suspension-which consists of a MacPherson strut front and a double wishbone rear suspension-is on board for taming road turbulence, and there's electric power-assisted rack-and-pinion steering that produces a turning circle of 36.1 cubic feet. For restraint and cushioning in the event of a collision, the 2018 Outback has dual front-impact, dual side-impact, and dual side-curtain airbags. Also on board are traction control, electronic vehicle stability control, hill start assist, hill descent control, and four-wheel anti-lock ventilated disc brakes with brake assist and brake override. Upgrade to at least the Premium trim to also get STARLINK™ Safety and Security: a suite of services that includes roadside assistance, automatic collision notification, stolen vehicle recovery, and SOS emergency assistance. On the Limited and Touring, Subaru adds blind-spot detection with lane change assist and rear cross-traffic assist. 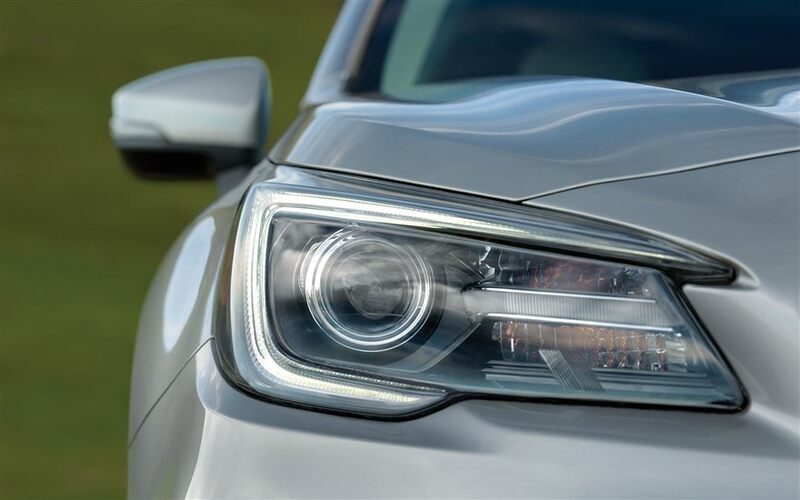 Exclusive to the Touring are high beam assist, reverse automatic braking, and EyeSight® driver-assistance technology that includes pre-collision braking, adaptive cruise control, and lane departure and keep assist. Ready to try out the 2018 Subaru Outback? Come on over to our Boulder Subaru dealer in Boulder Colorado today. With many a Boulder Subaru dealer in Boulder Colorado-and, by extension, the Denver metro area-we are nevertheless the place to be thanks to our reputation for providing customer service, as well as a robust inventory of vehicles. Schedule an appointment at Boulder Subaru dealer to test drive the 2018 Subaru Outback in Boulder Colorado today. 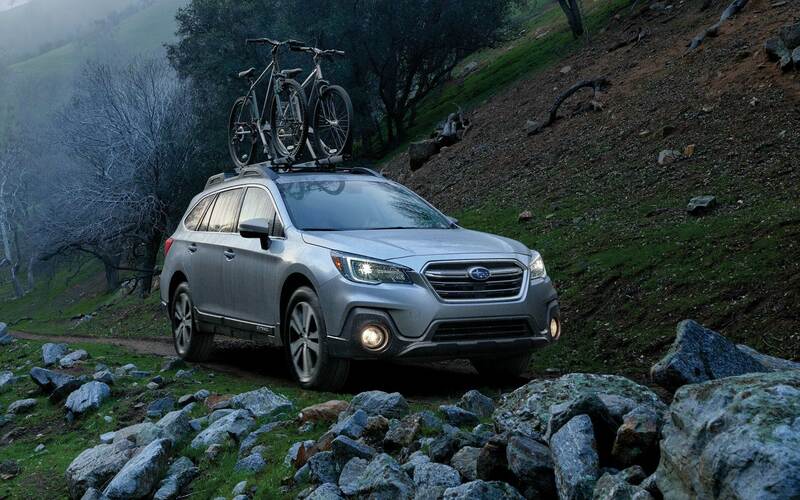 And after you try out the vehicle, you can speak with one of our Subaru experts to choose the Outback that has your preferred features and options.